This is a Baroque silver and wax reliquary pendant, dating to the 17th century. 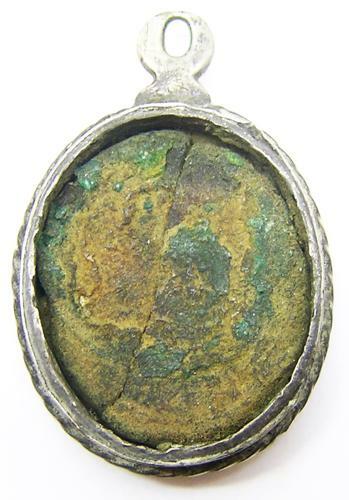 The pendant is in a rather tired condition, missing one of the glass covers. The contents are degraded and the wax greatly aged. It retains the original suspension loop and twisted wire decoration on the side. A nice historic item, worn for devotion.